Dr Burns qualified from Brighton and Sussex Medical School in 2009. 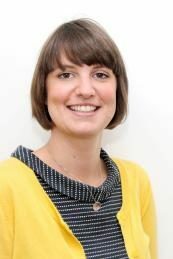 Dr Burns worked as a junior doctor for two years in Hastings and then started her general practice training in Brighton and Haywards Heath. She completed her general practice training at the practice as a registrar in 2013. Dr Burns initially worked in a salaried role and has been a partner since 2018. Dr Burns has a particular interest in sexual-health, family planning and womens health. She runs two family planning clinics a month. Dr Burns is also interested in teaching and regularly supervises a Foundation doctor on 4 month rotations in general practice. Dr Burns currently works Mondays, Tuesday and Wednesdays (including early morning appointments).